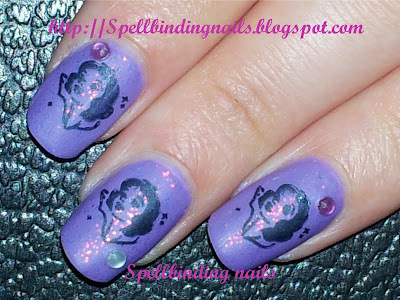 Here's a quick post from me tonight- To show you 'My Snow White ' Manicure =). Snow white is her favourite Disney film ever and because she rocks!. 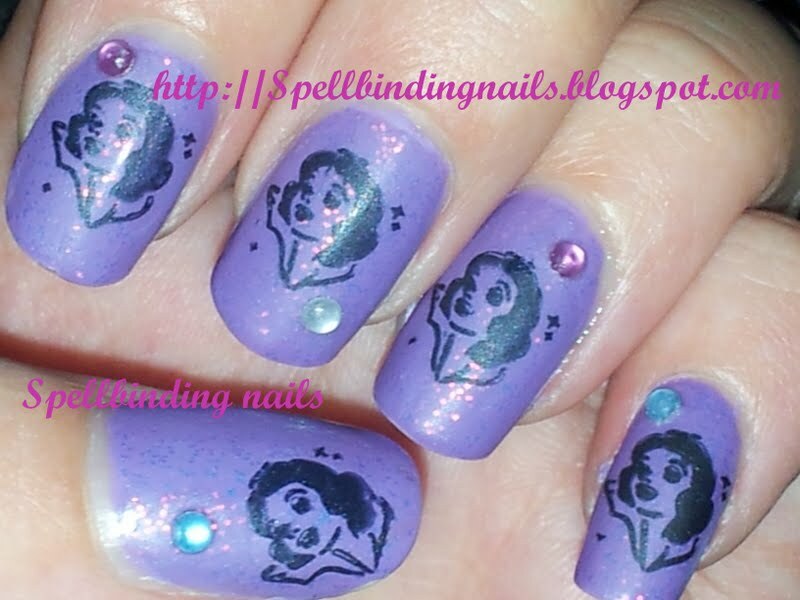 - Kleancolor - Chunky Holo Purple. 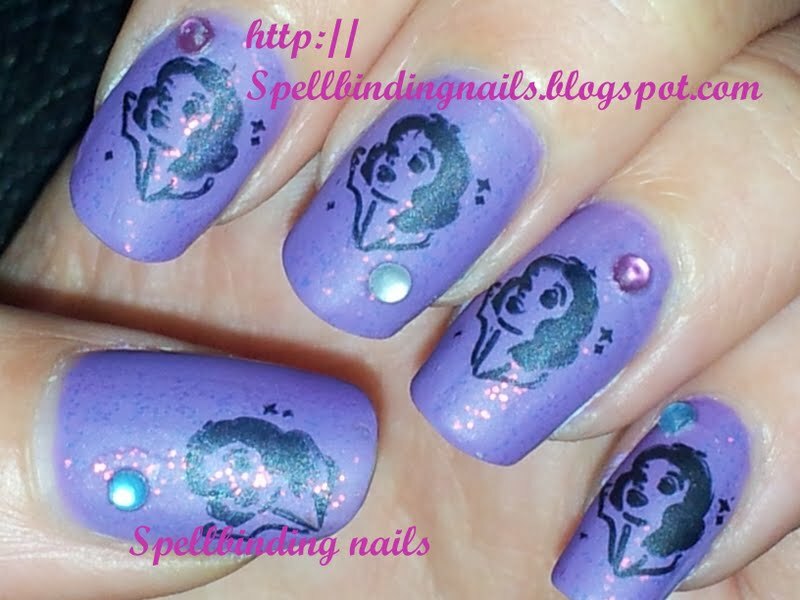 I Matte'd the rhinestones by error...but loved the overall effect that the cloudy Rhinestones added to this manicure!. 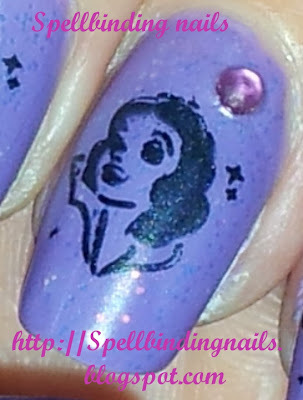 Here's a close up of the Snow White image -Its stunning isn't it =). - 1 Kleancolor - Chunky Holo Purple. 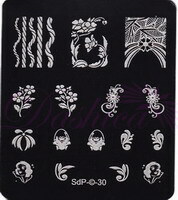 did you get any discount when you bought the whole sdp set>? Awesome! I love the base color! So pretty! My niece would love this! 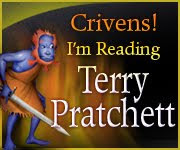 Thanks for commenting on my blog! Adorable! And the rhinestone was a great touch! I like that it's a sort of vintage looking image. Very cute! omg i love disney!! my daughter would love this mani!! !